I captured this image of a mature bull that I affectionately named Broken Tine as the first rays of morning light illuminated his antlers following a light snowfall during the night. 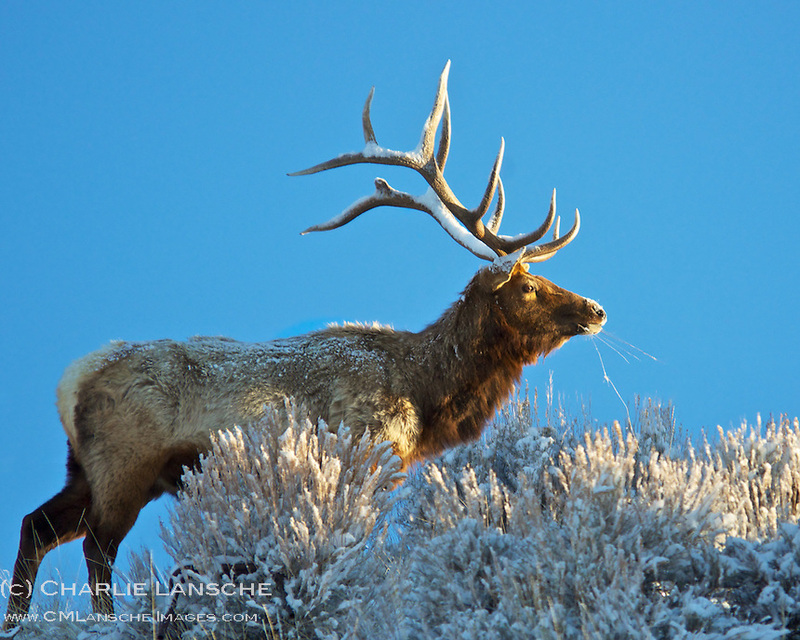 I photographed this elk on several occasions during the heavy winter of 2010/2011. Near Woodland, Utah. March 2011.